BlogTour NOLA - What's this one all about? BlogTour NOLA – What’s this one all about? With back to back BlogTours, for those of you who’ve spent the last month on the moon – we’re just back from BlogTour NYC, you’d think we would run into the problem of repeating ourselves. And really, who can produce two distinctly different BlogTours so close to each other and make sure that audiences all over the world, at last count over 1 MILLION people worldwide, will find our tours interesting, inspiring and informative? To tell the truth, we were a tiny bit worried about that too. Until we began to dig into the culture of New Orleans. Not just skimming the surface but really digging deep, talking to locals and getting their thoughts on the Crescent City. Maybe it’s true for all cities but we noticed it more here than with any of our other city research. 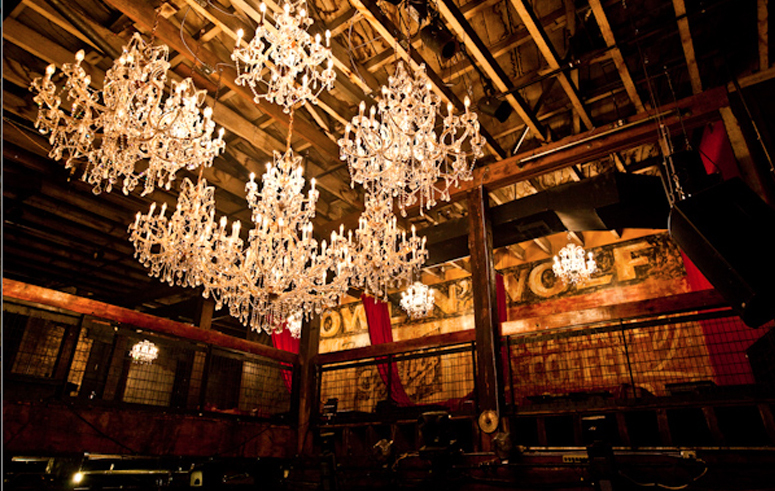 You ask ten New Orleans natives their three “must sees” and you end up with 30 answers. In the end, the challenge was not finding things for BlogTour to share with its audience but to select from a treasure trove of history, architecture, style, design and cuisine and to come up with a four day schedule in a city where even juxtapositions have juxtapositions. BlogTour NOLA will, as do all our tours, share design inspiration and trends but it will also go deeper as we learn about the continued effort to rebuild many parts of the city and hear stories of how people have coped with the emotional and physical devastation in the wake of Hurricane Katrina. The mere fact that this is still a topic today, eight years later, made it clear that BlogTour needed to share the latest with its readers. 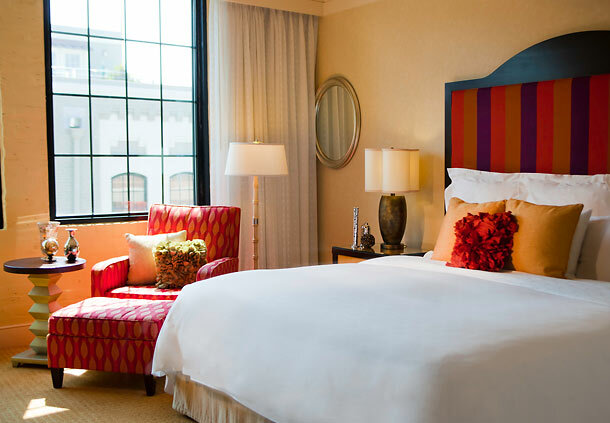 We hope you’ll follow the tour on Twitter at #BlogTourNOLA and BlogTour-at-a-glance on Modenus. 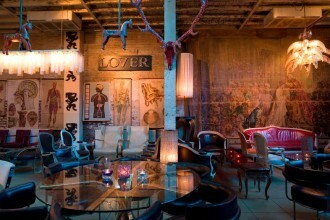 A warm welcome awaits the group at Renaissance Arts Hotel in NOLA”s warehouse district. Surrounded by art galleries and some of the city’s finest restaurants, this part of town is quickly becoming a hot spot for lovers of art and food alike. 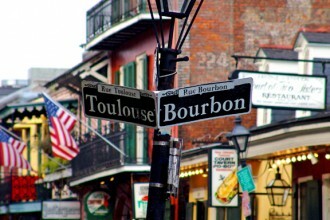 A quick stroll through the French Quarter will bring BlogTour to it’s first of many culinary experiences. 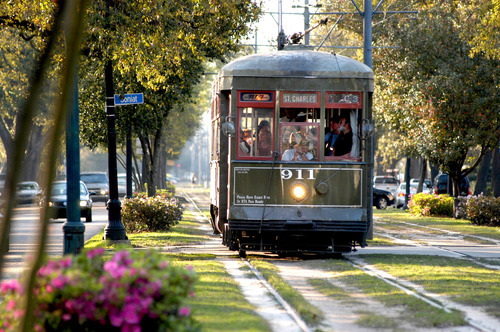 A full day is planned with an old fashioned street car ride along St. Charles Avenue, a stroll through the midst of the Garden District and some serious shopping on Magazine Street. Thank you to Angel Robinson of Write Robinson for taking the time to explain the many different ways of seeing the city – the streetcar was an absolute must. Before we get started however, we need nourishment to face the big day ahead and what better place to start the day than at Chef John Besh’s Luke . A scrumptious champagne brunch will be served courtesy of KBIS and if you can say “fried soft shell crab, poached eggs, and jalapeño cheese grits” without salivating you may not be human. Next stop on our busy itinerary is the venerable Magazine Street. The street houses many of the city’s most formidable design shops and with a length of over 7 miles, was one of those challenges where we had to pick one area, despite feeling like kids in a candy store. 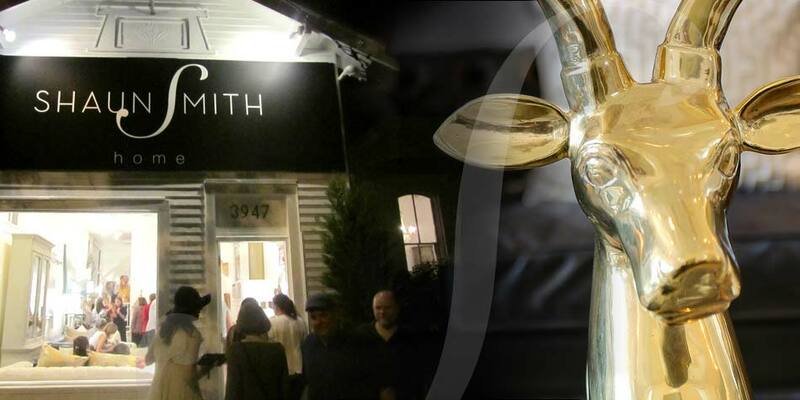 We will be meeting Shaun Smith of Shaun Smith Home who has graciously offered to be our design guide for the afternoon and share his favorite shops and studios on Magazine Street. Thank you very much Courtney Price for making the introduction! BlogTour will have part of the late afternoon to explore the nearby Garden District, please see what Courtney Price writes about this stunning part of town that she used to call home, or take some time to relax before we’re off to meet Miles Redd, yes THE Miles Redd, the master of glamorous interior design, at the Ogden Museum. Miles is in town for a signing of his latest book, The Big Book of Chic. Our evening will be spent with one of our most engaging sponsors, Mr. Steam. 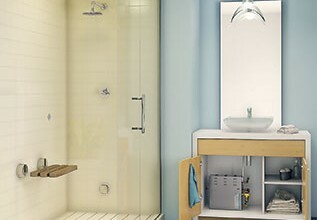 Luxurious and innovative steam shower solutions notwithstanding, Mr Steam have mastered the way of conveying their company mission without really having to mention their product at all. It’s about feeling good and taking time for yourself. Past BlogTours have seen Mr. Steam sponsored events at a spa in Germany, brunch in London and a fabulous boat tour in New York and this time we’re being treated to a wonderful dinner at SoBou which is South of Bourbon Street. 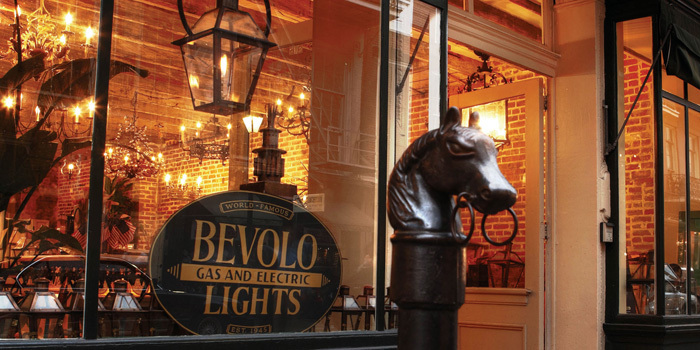 We begin our day early, with beignets & coffee at Bevolo, iconic lighting manufacturers who, to this day, are located in the heart of New Orleans on Royal Street. A factory tour hosted by Chris Bevolo himself will explain the process, designs and the rich history of Bevolo lighting. And then it’s time to switch gears. We could spend several more days marveling at French Quarter architecture, the colors, tastes and sounds of the Vieux Carré but our time is limited and there’s so much more to New Orleans. The people and the projects that are putting NOLA back together again. 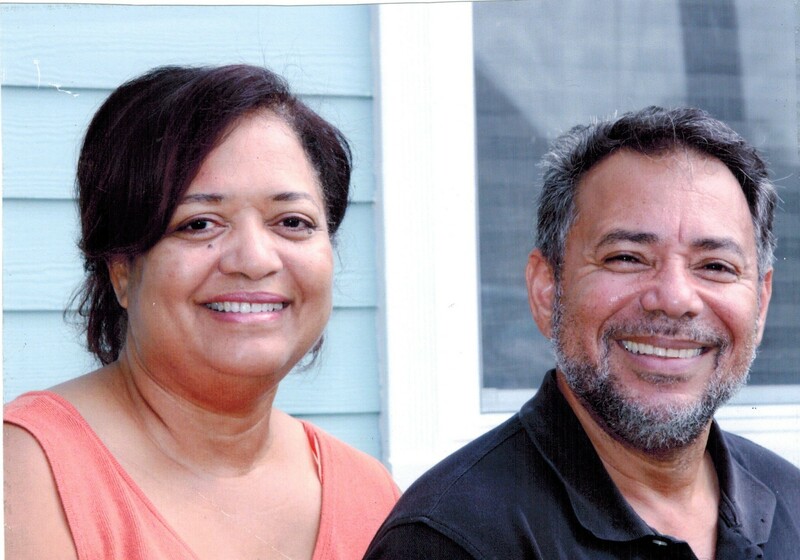 Gloria and Joe own a home in the Gentilly neighborhood of New Orleans that backs up to the London Avenue Canal where one of the major levee breaches occurred during Hurricane Katrina. Their home was totally destroyed and they lost everything. Joe is a builder and was in the process of rebuilding their home when all of his tools and floors were stolen out of the house. The economy tanked, work became slow and they fell on even harder times. They are currently living in two rooms at the home of their daughter, Crystal, in New Orleans. Crystal’s house, which was also severely damaged in the storm, left them living in a house with exposed studs and no kitchen. The Storehouse of World Vision has recently begun helping them finish their daughter’s house. Joe and Gloria would like to finish their own home on the canal one day, so they can move out and give Crystal back her home. Gloria and Joe are thrilled to have been chosen to receive World Vision’s help and look forward to seeing their daughter’s finished home—and one day, their own home. 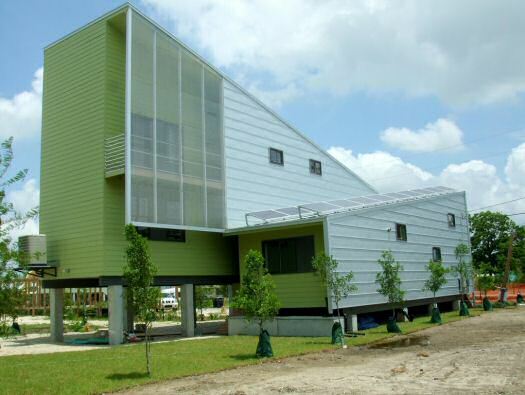 Our Silestone USA sponsored bus tour will bring us to Gentilly in the north of New Orleans. Gentilly was one of the hardest hit areas during hurricane Katrina and many families lost everything they owned. Three families are now able to move into their newly remodeled or rebuilt homes through the help of The Storehouse of Worldvision which supplies building materials to over 2 million people in need, annually. The Storehouse project is supported by many great corporate sponsors and manufacturers of building materials and home products, including BlogTour sponsors the NKBA and KBIS. We are proud to be amongst the first to tour the completed homes and share more about this important project. After The Storehouse Project we’re headed to a quick lunch at Mondo in Lakeview. Chef Susan Spicer’s restaurant was written up by Epicurious as a great local place and we’ll report back and let you know our thoughts. Our second tour that afternoon is Brad Pitt’s Make It Right foundation. Now, we’re pretty certain we won’t be getting a glimpse of Brad, Angelina or even just Angelina’s left leg but we will be getting a tour of an amazing architectural project that has, thus far, produced over 80 homes and involved many local architects in addition to industry icons like Frank Gehry. We’re thrilled to be part of this tour that is sponsored by Silestone by Cosentino, a key partner of Make it Right. 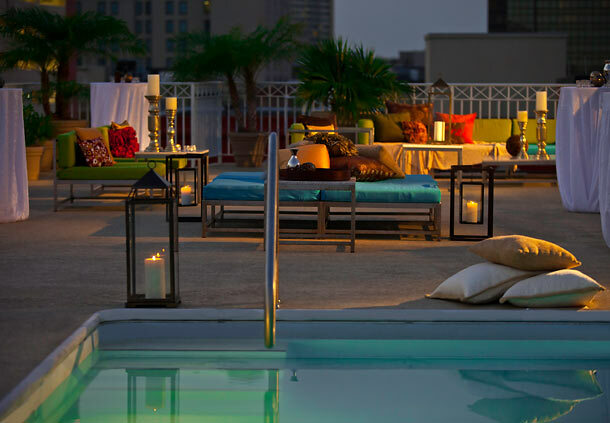 Our evening will be spent with many peers at The Republic, another NOLA hot spot, where BlogTour sponsor The NKBA will get together to celebrate and bestow awards upon the industries most talented designers. We’ll be sure to live tweet the winners. Thought we’d slow down already? Not a chance. 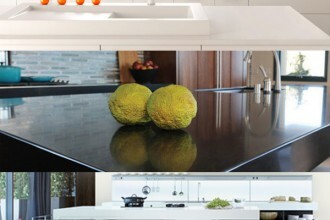 This is the day we’re headed to the opening of KBIS – The Kitchen and Bath Industry Show. The day is filled with media tours of the most important highlights and includes our sponsors Silestone and TOTO and we can’t wait to share our finds via Twitter, Facebook, Instagram and every other social media platform that will hold still long enough. 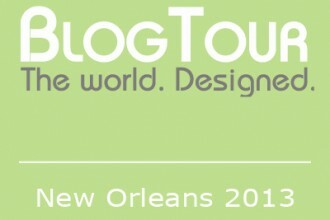 So, expect BlogTour NOLA to be trending on Twitter, ’cause that’s how we roll. 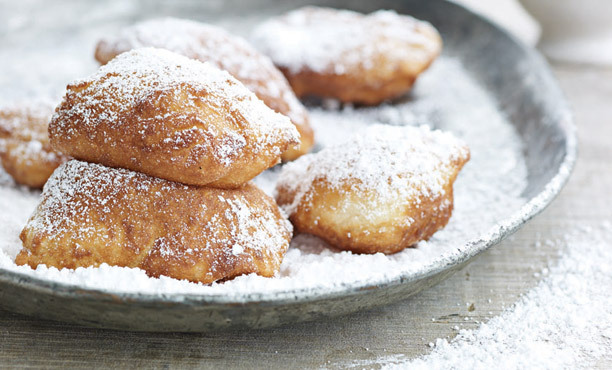 Kick off that day will be our Beignets & Bubbly Meetup, sponsored by Mr. Steam and Blanco America, with key industry folks and lots of social/digital/traditional media having a chance to meet and mingle at KBIS Design Studios powered by QuEX. You can learn more about KBIS design studios here but to summarize – if you love design and want to learn from highly published kitchen, bath and interior designers you simply have to include presentations by Susan Serra, Meredith Heron, Chery Kees Clendenon, Corey Klassen, Carmen Christensen, Tyler Wisler, Lori Gilder and Andie Day. We will end this day of design with dinner at Poggenpohl’s New Orleans showroom at Nordic Kitchens with our sponsors Blanco, Poggenpohl and Silestone and a selection of the industry’s best design pros and media. Yes we know, “You don’t know how we do it ” , we get that all the time. BlogTour is all about passion for design and learning about local culture and it’s what keeps us going. Besides, we can sleep on the plane, right? Cool, because we’re headed for a fantastic breakfast with BlogTour sponsor TOTO. 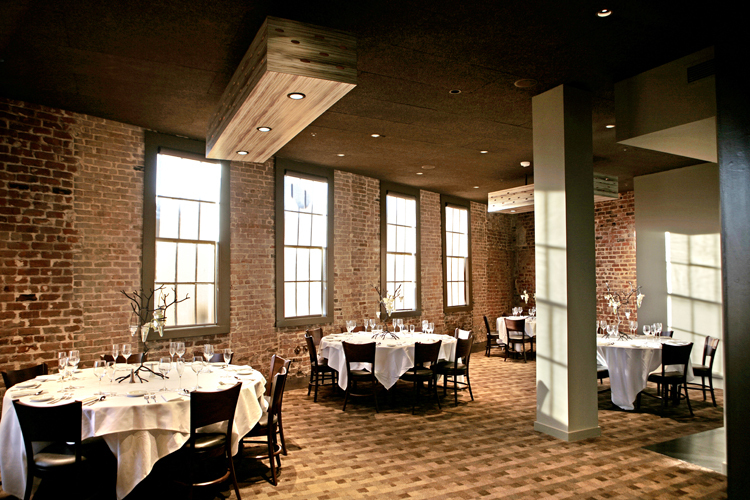 We’ll be treated to a sumptuous meal at chef Donal Link’s Calcasieu’s private dining rooms. So yes, we may be just a tad spoiled but you love us anyway. BlogTour has the rest of the day to peruse KBIS exhibitors they may have missed the day before, catch some of the NKBA conferences or sit in on the many industry presentations on the show floor. One of those presentations being BlogTour Redux, yep that’s us, with a curated kitchen, bath and interiors trends report from our tours to London, New York City and Cologne. 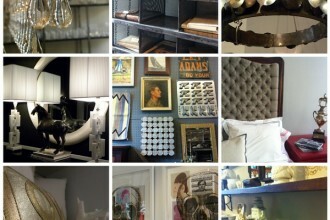 Then most of BlogTour will head home and some to Highpoint to continue their quest for great design. KBIS 2013 – Proud to be part of a great collaboration BlogTour sponsor NKBA – Supporting through education and inspiration BlogTour Sponsor Mr. Steam – Luxury for the 99% BlogTour NYC – What’s this one all about? 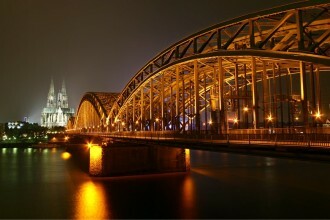 BlogTour Cologne – so what’s this one all about? A day-by-day guide Modenus MyCity Tour: Revisiting SoHo BlogTour NOLA – Meet the Bloggers So what’s a BlogTour? Where does it go? And what is BlogTour London all about?